Fee: $30/$25 members - includes an autographed copy of The Light of Paris, refreshments and admission to the sculpture garden. Bronze Optical invites you to arrive early to browse a diverse, vibrant selection of frames--mirror provided, of course!--while they clean and tighten the screws in your current eyewear. Lynden Sculpture Garden's Women's Speaker Series, Bronze Optical, Alliance Française de Milwaukee, and Boswell Books welcome Eleanor Brown, author of The Light of Paris, to the Lynden Sculpture Garden, Tuesday, July 19, 7-9 pm. Eleanor Brown is the New York Times and #1 international bestselling author of The Weird Sisters, hailed by People magazine as “a delightful debut” and “creative and original” by Library Journal. 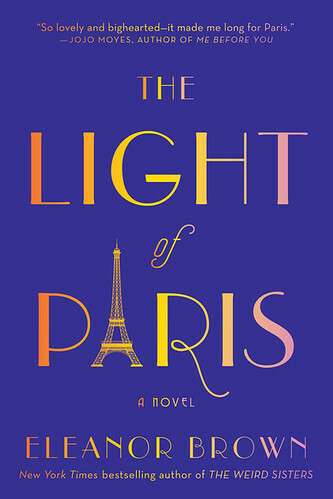 Her second novel, The Light of Paris, will be published by Putnam Books in the summer of 2016. Eleanor teaches writing workshops at The Writers' Table in Highlands Ranch, CO, and at Lighthouse Writers Workshop in Denver, CO, as well as writing conferences and centers nationwide.